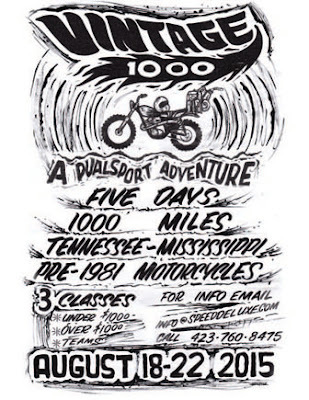 We just thought we'd reach out because we are organizing a non-sanctioned 1000-mile dual sport race on the Transamerica Trail in Tennessee and Mississippi, USA for vintage motorcycles only (pre-1980). We are organizing the event but are not profiting from it. We will request that the riders pay some money towards the expenses, including camping, food, drinks, and fuel for support vehicles, all of which we are organizing. Address of the year !